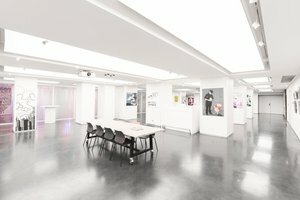 This large 300 sqm space is located right across from Amsterdam's Central Station, making it our most central rental space, and the ideal spot to host pop-up stores, showrooms, press events, business meetings, galleries, you name it. 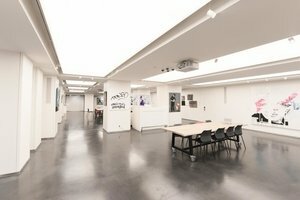 This space consists of two large rooms on the ground floor of a famous historical building, that is passed by hundreds, to thousands of people during peak season. 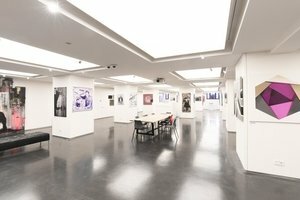 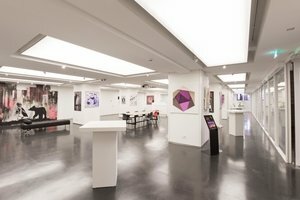 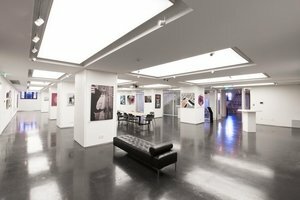 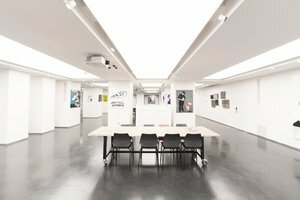 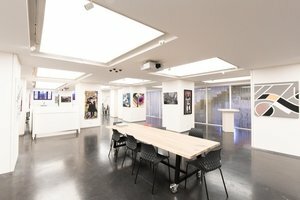 The monochrome design of this space, with its white walls, bright ceiling panel lighting, and dark floor provide a nice clean finish to this modern art gallery. 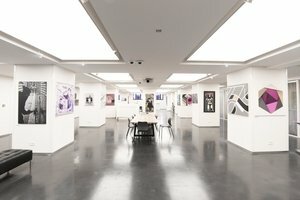 The air conditioning, furniture, stock room, sound and video equipment and toilets provided allow for plenty of opportunities.